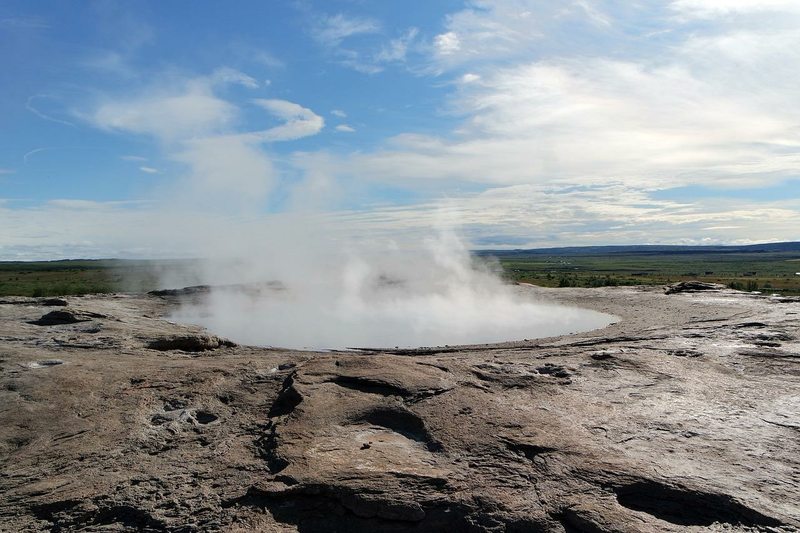 When you are traveling around Iceland there are so many “must see” attractions, but without a doubt hot springs should top the list, or at least be among the most desirable tourists’ experiences in this beautiful Northern country. However, not all hot springs are suitable for bathing. We made a list of top three hot springs in Iceland and we are absolutely sure that visiting these places would be an unforgettable experience and a great fun for you. It is probably the most famous hot spring in Iceland and rightfully so - amazing view, medical qualities of the water (it helps people, suffering from skin diseases) and incredible atmosphere. The Blue Lagoon is very easy to approach, it is located in a lava field just 40 minutes from Reykjavik and 20 minutes from Keflavik International Airport. Bathing in this geothermal seawater is astonishing experience and it not only has a positive effect on your skin, but clears your mind as well. The Blue Lagoon miraculously takes away your stress and makes you feel absolute happiness. And of course the view is breathtaking, just be sure not to spend all your time making pictures, after all it is all about water! Askja is a caldera, which is located in the Dyngjufjoll mountains and was formed at the end of the Ice Age. One of its craters is Viti, a popular bathing site with striking and almost out of earth view. Even though the hot spring is not always accessible due to the weather and it is one of the most desolate sites on earth, it is worth visiting. After all where else would you be able to see such a lunar-like landscape? If you have ever secretly dreamed of becoming an astronaut and walking on moon, Viti is definitely a place you should visit. Actually there are two pools - old and new one. The former is one of the oldest swimming pools in Iceland and is located in the South. Thanks to the stunning view, bathing there is very popular and it is also free of charge. Bear in mind that alcohol consumption is absolutely prohibited there, but trust us, this fairytale experience will compensate lack of booze, at the end of the day, alcohol and swimming don’t really match together. Motorhome Spain, your Motorhome rental in Spain!